THE stock market responded to Anglo American Platinum’s (Amplats’) excellent interim results with apparent indifference knocking the price down around 1% at one point in trading in Johannesburg, while analysts seemed generally unimpressed. 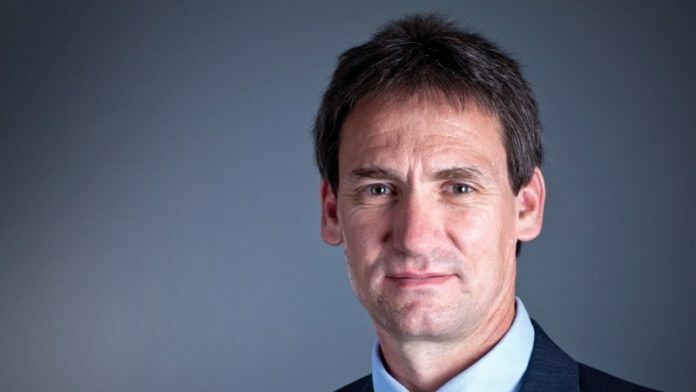 According to JP Morgan Cazenove analyst Dominic O’Kane: “Amplats continues to be the undisputed champion amongst South African peers however the negative outlook on diesel vehicles impacts platinum prices and we believe earnings are at risk and remain underweight”. Macquarie analyst Gerhard Engelbrecht described the results as “a positive surprise”, but his recommendation to investors is also to be underweight and he gives a share price target of R275 compared with the current price of around R353. JP Morgan’s price target is R292. The assessment from Goldman Sachs was that these results were “neutral” and they expected the share to “trade in-line with peers”. AngloPlat CEO, Chris Griffith, has clearly heard all of this before because he tackled it head-on in his presentation at the Johannesburg Stock Exchange on Monday morning. Griffith commented: “We keep getting asked what’s next for Amplats? Investors are saying we give you a big tick mark for the last five years, but your share price is fully valued. “Internally – in the business – we don’t think we are there at all and still see significant additional value for this company. We will achieve that value proposition through the next phase of our strategy which is built on three pillars”. Those pillars are to develop the market for platinum group metals (PGM); to achieve operational excellence; and to invest in the group’s core portfolio. Griffith stressed Mogalakwena’s status as Amplats’ most important mine which has the added benefit of being a “palladium-rich resource”. Griffith emphasised Amplats’ ability to earn revenues across the broad spectrum of PGMs where revenues have been boosted by the rising prices of rhodium and palladium in particular, but he remained optimistic on the recovery prospects for platinum. That’s despite his negative forecast that “the platinum market is likely to remain in a small surplus in the next few years with supply outweighing demand”. “Platinum has been caught up in a lot of negative sentiment, but I believe the fundamentals for platinum are better than the current situation would suggest. Platinum is not dead at all”. He pointed out that – unlike palladium and rhodium – platinum benefited from a diversity of demand with three main markets in autocatalyst, jewellery and industrial. Griffith said that industrial demand for platinum is growing while jewellery demand is stabilising after suffering a number of years of decline. Autocatalyst demand had been hit by the overwhelmingly negative attitude to diesel which Griffith believed was overdone. He pointed out too much attention was being paid to the impact of the anti-diesel campaign in Western Europe which was only part of the market. The drop in diesel car sales in Europe would be offset by increased diesel car sales outside of Europe while strong demand was expected from the heavy-duty vehicle sector. Turning to the issue of electric vehicles, Griffith said sales of hybrid electric vehicles were growing more rapidly than battery electric or fuel cell electric vehicles and pgm loadings on hybrid vehicles were “… currently the about the same as their internal combustion engine equivalents. “So a shift to hybrid powertrains does not represent a negative impact on PGM demand,” he said.